An adequate training routine and good company are two of the most essential elements in trail running as far as Roberto Ruiz is concerned. The 35-year-old Mission resident has been running off and on over the last five years, but places most of his energy into helping organize races throughout the Rio Grande Valley. Ruiz is a partner of Sole Racing which is a local company focused on creating quality road and trail races throughout the Valley while promoting the importance of a healthy running community. Ruiz, along with David Zuniga and Jesse Cruz, organize racing events throughout the year focusing on various themes, causes and overall wellbeing. 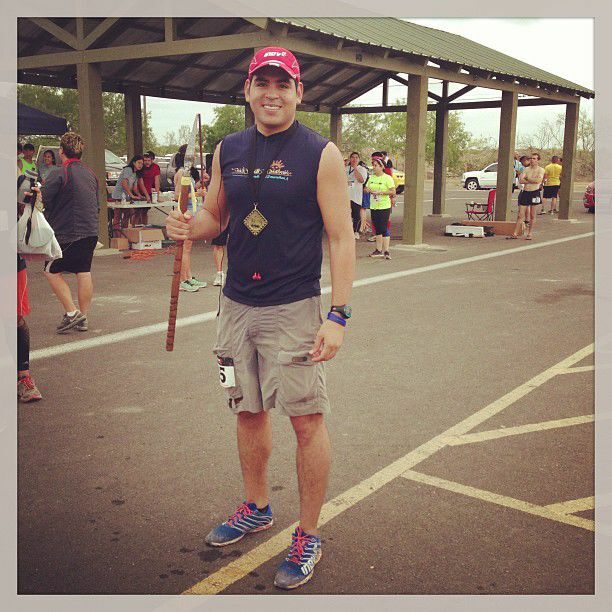 As a marathon runner himself, Ruiz said his most rewarding run was battling the Hell’s Hills 50 mile run in 2013. “To this day, that was the toughest, most rewarding run, I’ve ever done,” he said. He plans on running the half marathon at the McAllen Marathon in January and is ready to start training for it in the near future. QUESTION: What goes through your mind in deciding which marathons to run? ANSWER: I run about one race a year, maybe two. I usually factor in who’s joining me and whether it’s on trails or not. Q: How did you start running? A: I started running as a way to get back into shape. Q: What kind of medals have you received? A: I’m not very good about keeping track of medals. I think I have the majority of them in a drawer somewhere. Eventually, I’ll put them on a rack. I have friends that have amazing displays — I need that! Q: Are you currently on a special training schedule? A: Not currently, I’m just running weekly to keep in shape. When I find a race I’m targeting, I’ll start a more disciplined running schedule. Q: How do you motivate yourself to train for an upcoming marathon? A: Most of my runs are done with a group; my running friends are my motivation. There’s nothing like running with people who share your passion. Q: Where’s your favorite spot to run in the RGV? A: It’s definitely the Sullivan City (Cuevitas, Texas) trails. It’s a hidden gem filled with rolling hills, rugged terrain and steep climbs. It makes you feel like you’ve left the Valley. Q: What does your family think about your running hobby? A: They’ve always been supportive. It’s great to see friends and family at the finish line. Q: What advice could you give to new runners? A: Find a group of runners that shares your passion and learn from them. A: Running is a great equalizer; it doesn’t judge, it doesn’t play favorites. It’s one of those hobbies that’s always there for you when you need it.